Have a good meal about 30 minutes to 1 hour prior to you appointment. Drink 1-2 glasses of fruit juice 30 minutes prior to your appointment unless otherwise ordered by your physician. A full bladder is NOT necessary for your scan. We want you to be comfortable so that you may enjoy your appointment to the fullest. 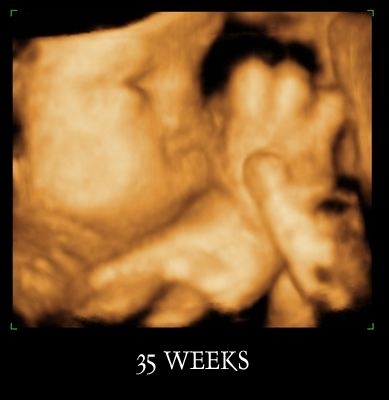 - A 10 minute session that includes a 3D image** of your baby's gender if baby cooperates. * If a 3D image can not be achieved a 2D picture will be given instead. VHS or DVD Upgrade for a nominal fee. No-show: Please kindly call to cancel your appointment at least 24 hours prior to your appointment. Failure to do so will result $25.00 no-show fee. ** Baby cooperation: if your baby does not cooperate, you will NOT be charged the full price for your session. However, a nominal ‘Service Fee’ will be charged. Please inquire about this prior to your appointment if you have any question. 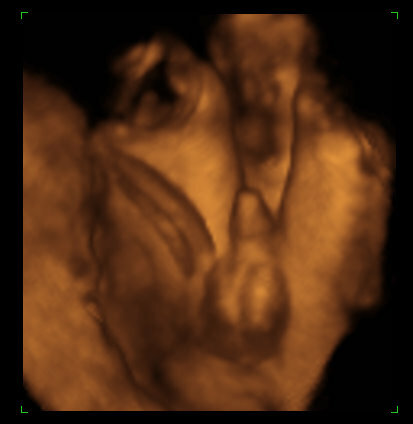 Copyright 2010 Salinas 3D4D Ultrasound. All rights reserved.